Push up lever for drinking, push down for closing. Black, 590ml. Byron is a sturdy, vacuum-insulated double-wall drinking mug for hot drinks (up to 7 hours) and cold drinks (up to 18 hours). Stainless Steel double wall vacuum insulated Tumbler. Contigo Pinnacle AutoSeal Travel Mug - 300ml - Blue. Press to sip. Release to seal. The Pinnacle drinking mugs use vacuum-insulated technology, keeping hot drinks hot for up to 3 hours and cold beverages cool for up to 10 hours. Contigo® West Loop - 470ml AUTOSEAL® Vacuum Insulated Mug - Stainless Steel. Press to sip. Release to seal. The West Loop drinking mugs use vacuum-insulated technology, keeping hot drinks hot for up to 5 hours and cold beverages cool for up to 12 hours. The Japanese have been purifying their drinking water with sticks of charcoal for centuries. They make water taste great! Push up lever for drinking, push down for closing. Byron is a sturdy, vacuum-insulated double-wall drinking mug for hot drinks (up to 6 hours) and cold drinks (up to 12 hours). 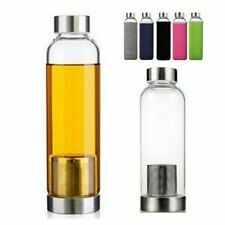 Stainless Steel double wall vacuum insulated Tumbler. 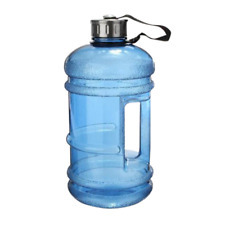 700ml aluminium water bottle with a handy pop-up drinking straw. Retro Batman Water Bottle. 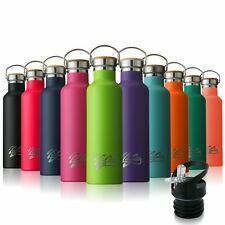 Thermos Mondial Flask, 0.5 L - Black/Green/Blue. Glass vacuum insulation. The durable powder coating provides a stylish look, easy-grip and a finger-print free texture that is easy to clean. Bottle Capacity: 500ml. Great Range of Products. We will always do our best to resolve any issues. Liverpool F.C. Aluminium Travel Mug. 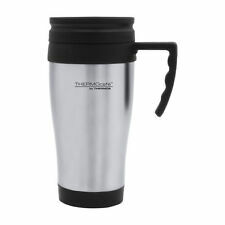 450ml aluminium travel mug. official licensed product. .
Simons Cat Water Bottle 500ml BPA Free Drinks Bottle Simon's Cat Design. AquaFrut Fruit Infuser Water Bottle-One Click Open Lid (24oz, Green) USA Seller! AquaFrut Bottom Loading 24oz Fruit Infuser. It contains the best infusing recipes that will get you started right away for a healthier lifestyle! BPA FREE & LEAK PROOF - AquaFrut infusers are made of premium Eastman TRITAN. Creative keyboard Alt Del Ctrl design. By Spoontiques. with bright green shamrocks! 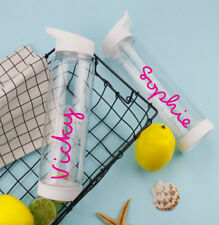 It features insulated double-wall construction, a twist off lid, and an acrylic straw. with Straw. Acrylic Travel Cup. This reusable, eco-friendly, BPA-free acrylic Travel Cup. Reusable Stainless Steel Drinking Straws Set Of 8 With 2 Cleaning Brushes! New!